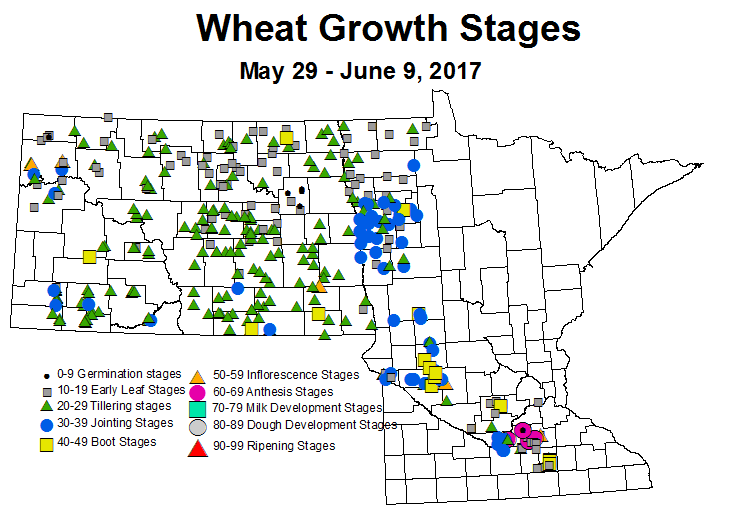 The spring wheat crop is progressing quickly in the west central and southern Red River Valley areas. Awns are emerging in the older fields in the region. Management decisions related to heading and flowering are fast approaching. 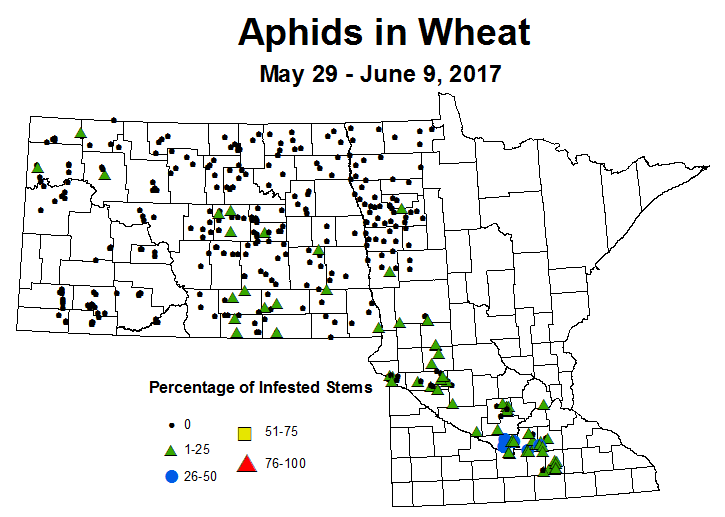 Aphids are gradually spreading into the northern region, but no scouted field reached threshold levels. The Winter and Spring wheat in the southern areas have aphids though those fields were also below threshold (85% stems with at least one aphid present). The southern wheat acres will be safe from aphids after heading is complete. Northern fields will need to be watched to see if the populations grow rapidly enough to reach threshold by flag leaf emergence. Tan spot is the most prevalent leaf disease out there and is across both states but at different infection levels. 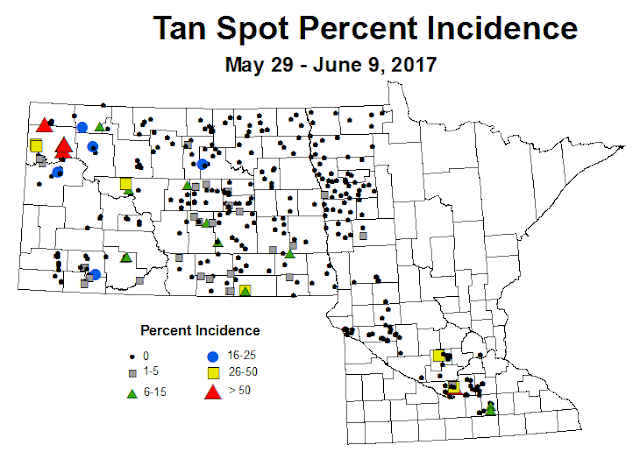 For the northern Red River Valley, tan spot has been light, but with recent rains we would expect infections to increase. 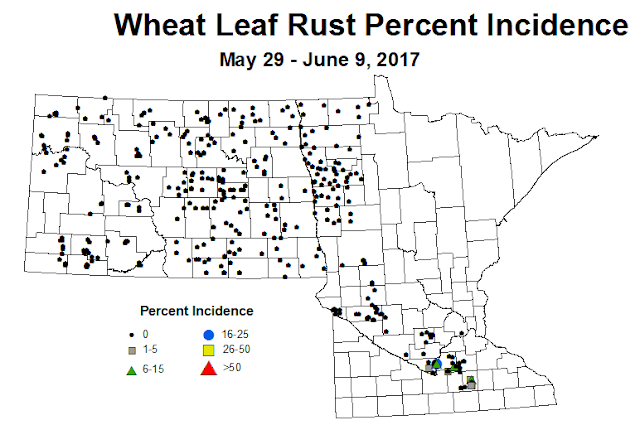 Leaf rust has been reported from fields in the south central areas, but none was detected anywhere else (nw MN or ND). Stripe rust gets a lot of interest in wheat production areas around North America. 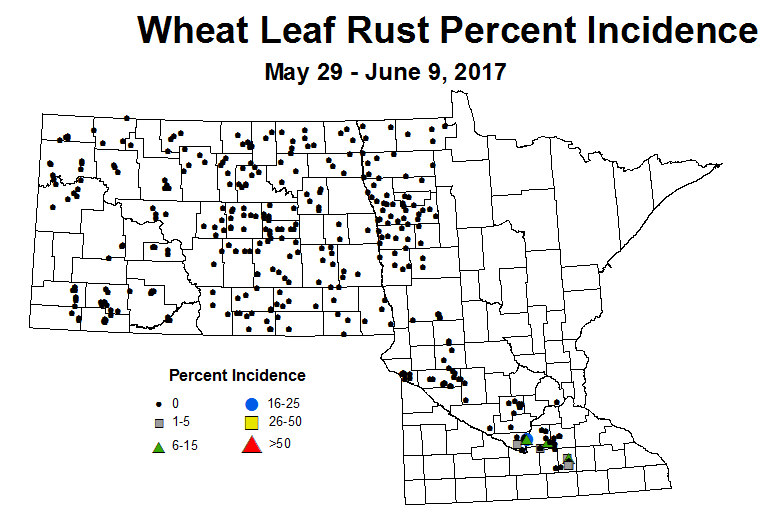 It has been detected in two commercial fields at low incidence (one in MN and ND). 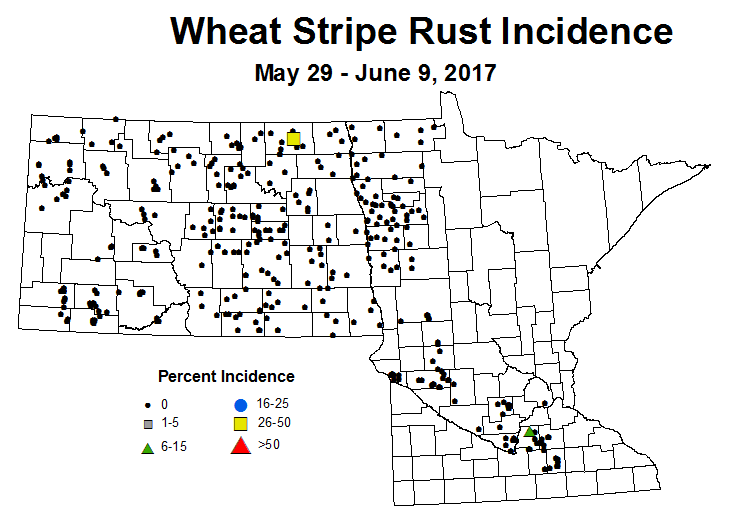 Most stripe rust reports for the region have been coming from variety plots where susceptible varieties are infected. Watch for ARMYWORM activity in southern and central Minnesota. We may see some things develop after the rain events where lodging has occurred. Read the 2017 True Armyworm Management overview from Bruce Potter, IPM Specialist, SWROC-Lamberton.